We tried our hardest to taste as many wines as we could (it’s a hard life here at ginandjuicing, I assure you) so we could report back on some of the shining stars to look out for. Here are some of our highlights. 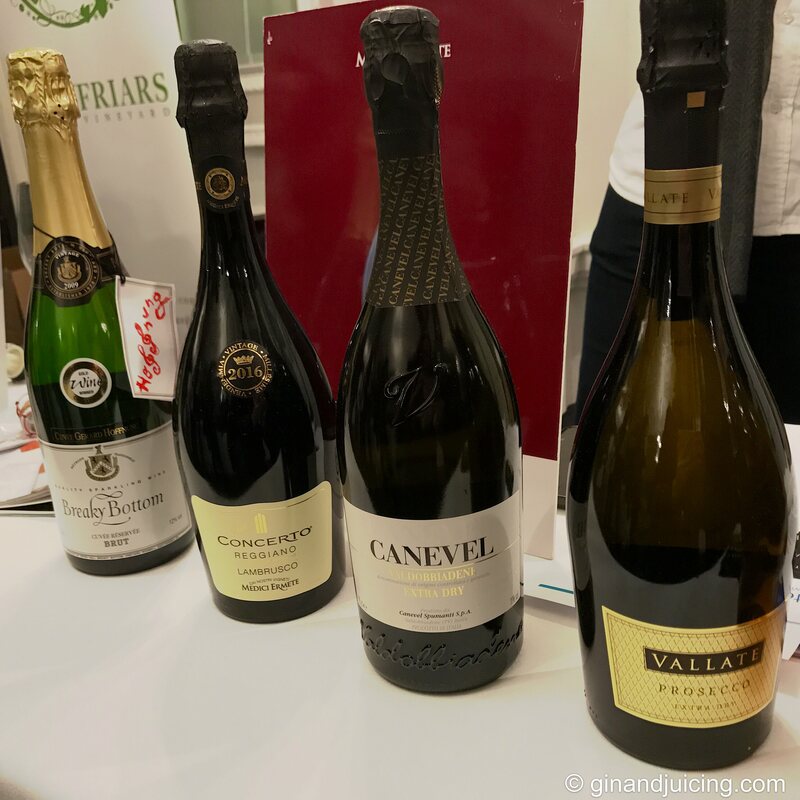 The very affable gentlemen from Vinumterra recommended two of their wines to try, the Prosecco DOC Spumante Extra Dry Vallate and the Valdobbiadene DOCG Extra Dry 2015 Caneval. Both were excellent wines, the Prosecco was particularly light and smooth on the palate with a subtle finish and the Valdobbiadene exhibited displayed the classic extra dry characteristics of the area. Both of these wines were very typical of their production and would make excellent drinking wines for celebrations. 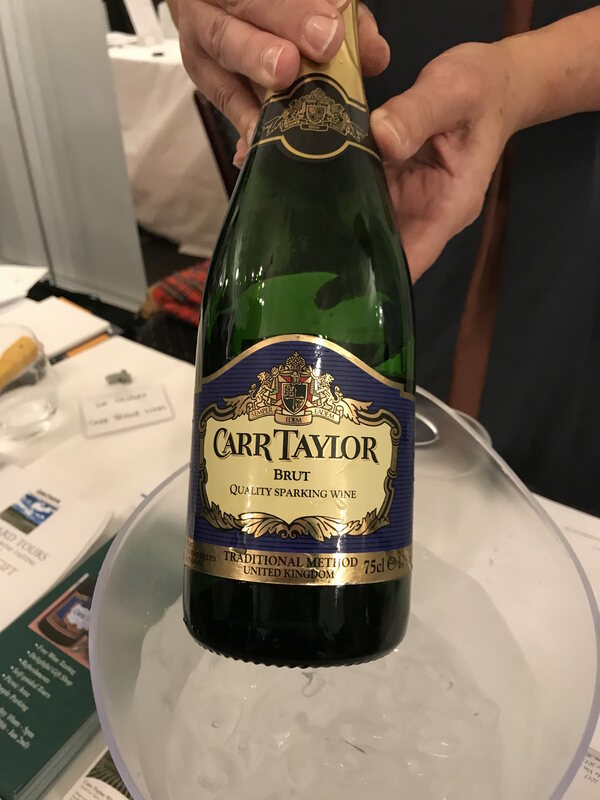 Carr Taylor Vineyards produce their wines near Hastings, which is a renowned area for producing British sparkling wine. We sampled their Brut Sparkling Wine, which had notes of cream and citrus in the nose, with a buttery and smooth finish on the palate. Overall an excellent example of where British sparkling wine is now in terms of production and the classic taste that is so sought after. As well as hosting the International Champagne and Sparkling Wine Summit, Glass of Bubbly are also searching for the ‘World’s Finest Glass of Bubbly’ which is their annual prize giving ceremony. As part of the award, the winner will be gifted one of the most amazing wine coolers that I have ever laid eyes upon, designed by Carynx London. 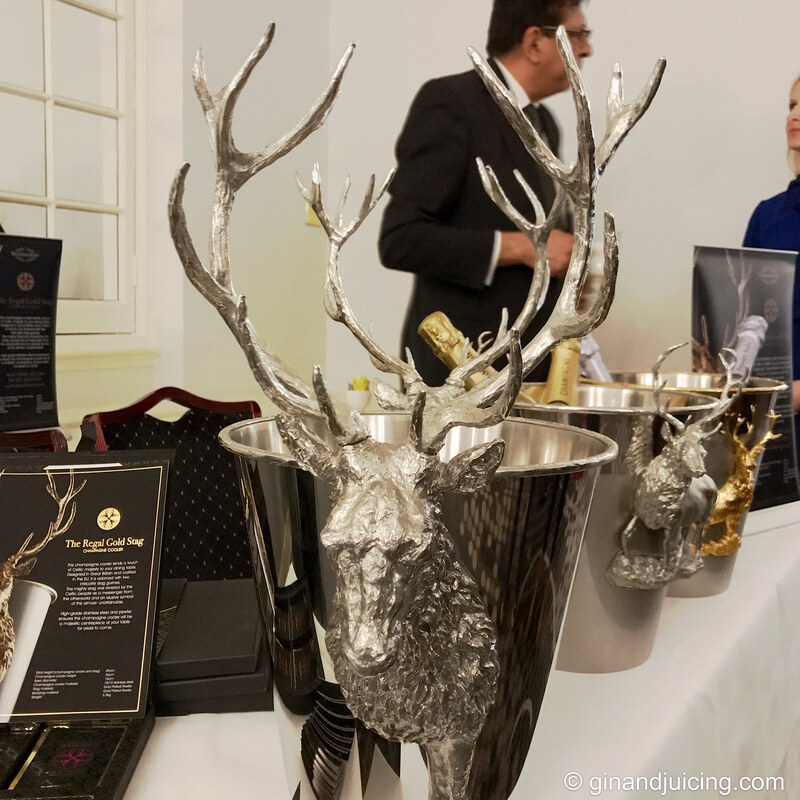 Carynx London stock a range of incredibly exclusive and luxurious barware, which is designed by Sunil Devalia and crafted by his team. Carynx wine coolers are inspired by Scotland and Celtic culture and each cooler features the emblematic stag that is so distinctive and beautifully rendered. As you can see from the photos, these wine coolers are incredibly detailed and take up to 41 hours per piece to be completed and cast in pewter. Some are finished in 24 carat gold if you want the height of luxury! The World’s Finest Glass of Bubbly Awards will take place in November and whoever wins this award will be very lucky indeed! If you fancy buying one for yourself, the large, 24 carat gold plated cooler will set you back a cool £10,000. Beautiful craftsmanship from Carynx of London. Imagine winning this? 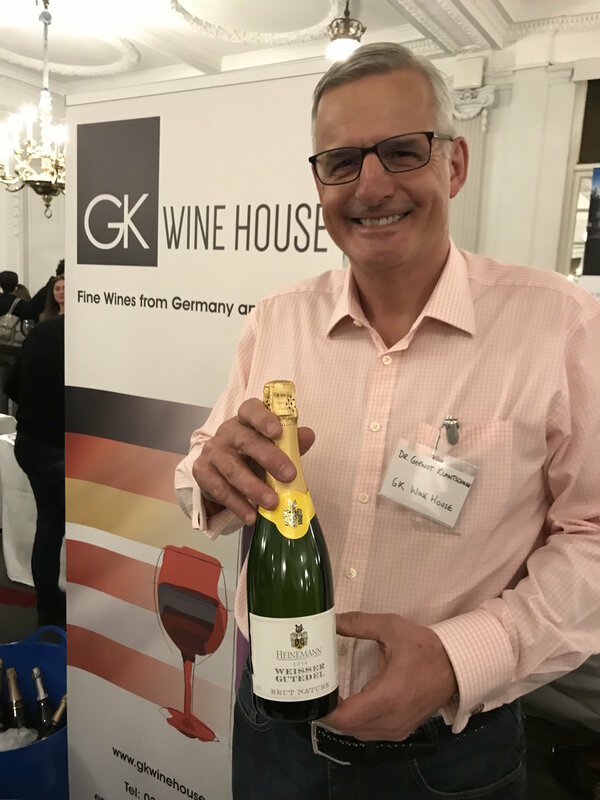 Dr Gernot Klantschnig from GK Wine House gave us a tour of German and Austrian sparkling wines including the very unusual and very dry Weisser Gutedel Brut Nature, which was one of the driest sparkling wines I’ve ever tasted. I knw a lot of people shy away from drier sparkling wines, preferring to stay with fruitier notes instead but I have to say this wine was my absolute standout of the day. Fresh and with plenty of good lemony citrus on the nose and palate, going to a long dry finish that was extremely clean tasting. This would be an excellent wine to drink by the sea, I think, as it’s so refreshing and invigorating. If ever there was a wine from this region to try, this is the one. The lovely ladies at R.C Lemaire poured us some of their delicious Rosé Brut Champagne. This Champagne was heaven, there are no other words for it (but I’ll try). The Champagne was a beautiful bold pink with lots of dark summer fruits on the palate and not too sweet on the finish. This is the rosé Champagne for picnics and summer days with friends, so delightful and vivacious. Seek it out, you will not regret it. 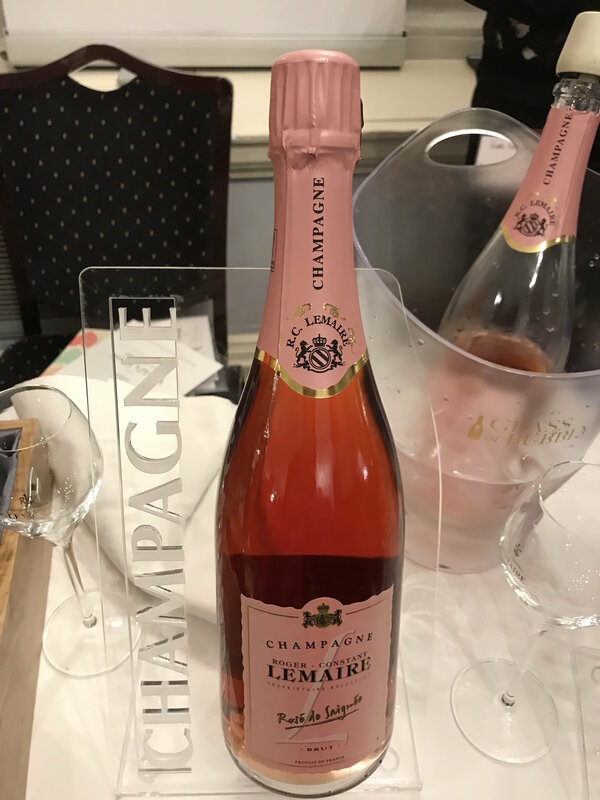 Lemaire’s rosé Champagne, look at the colour! 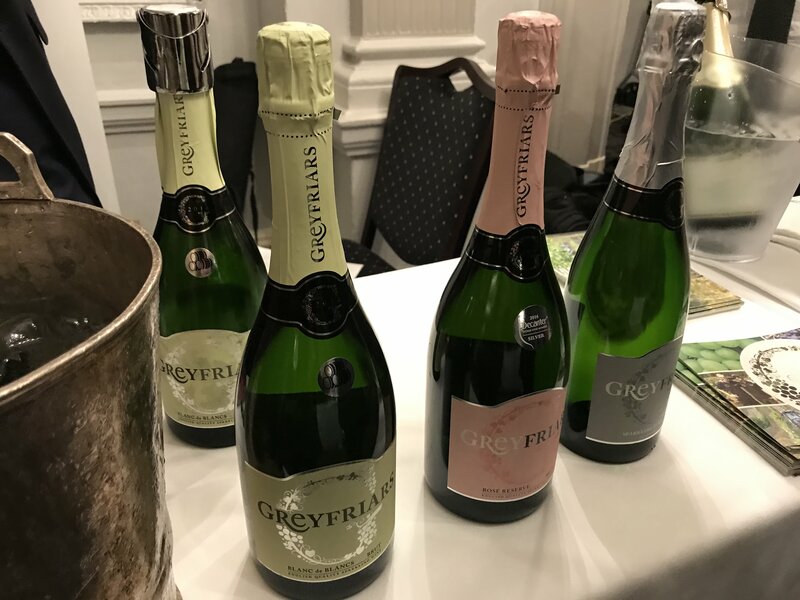 The very affable Mike Wagstaff from Greyfriars Vineyard in Surrey took us on a flight through their top four sparkling wines that they produce. The first Mike described as the ‘entry level’ Non-Vintage Sparkling Fumé, which was the wine that will appeal to all, great for drinks parties and aperitifs (and is only £18.50 at the cellar door!). Next up were the non-identical twins of the Unoaked Blanc de Blancs and the Oaked Blanc de Blancs. Originally these two grapes went through different maturation processes with the idea of blending them together for a final product. What happened was that the two different wines they produced were so good that Greyfriars decided to keep them separate and what a fabulous decision that was! The Unoaked Blanc de Blancs (finished in steel tanks) is much lighter, subtler and very clean tasting. The oak finished Blanc de Blancs had all the lovely creamy, oyster-type flavours that you would expect from an oak finished Chardonnay. We finished off with the Sparkling Rosé Reserve, which was a wonderfully delicate example of English Sparkling rosé, full of delicate strawberry notes and a pleasant semi-dry finish. The fabulous line up from Greyfrairs Vineyard, thanks Mike! I would admonish you to seek these lovely wines out and have something different chilling in your fridge to surprise friends and family with. Thanks again to Glass of Bubbly for inviting us along to the International Champagne and Sparkling Wine Tasting Event and Summit! 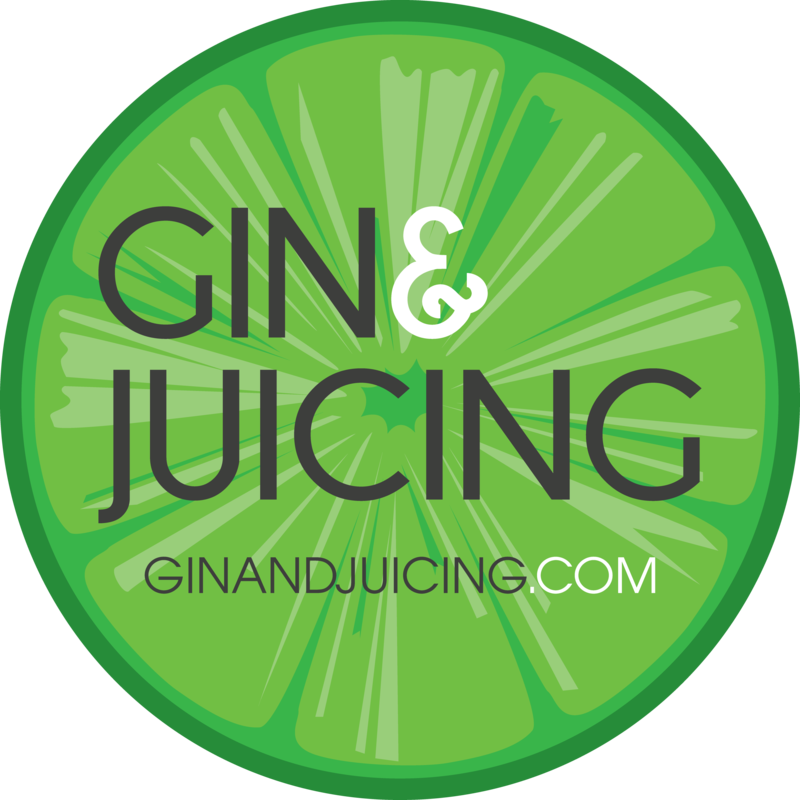 Really glad to have found your blog, not only do I work with champagne but I luuuurve gin too! A match made in heaven! I will be following with great interest! Hi Tiffany! Thank you so much for featuring VinumTerra wines on your article about Glass of Bubbly Tasting. I’m really pleased you enjoyed tasting our sparkling wines and thank you for the kind words! Cheers! Hiya, This is a great website, thank you for sharing it with us. Have a fantatstic day.